Anishinaabe Activist, Author and Orator Winona LaDuke talks about food sovereignty, renewable energy, sustainable development and indigenous paradigms. Recorded in Vancouver Washington in February 2010. 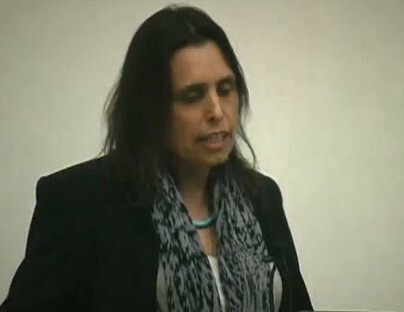 Winona LaDuke is a member of the Mississippi Band of Anishinaabe from the White Earth Reservation in northern Minnesota. An internationally acclaimed author, orator and activist, LaDuke has devoted her life to protecting the lands and traditions of Indigenous People. She serves as Executive Director for Honor the Earth, a non-profit organization that helps build financial support to frontline indigenous environmental groups and raise awareness on environmental issues and concerns like the tar sands. She is Co-Chair for the Indigenous Women’s Network, a North American and Pacific indigenous women’s group focused on increasing the visibility of indigenous Women in political, social and cultural processes. In addition to many articles and essays, LaDuke is the author of several fiction and non-fiction books, including “All Our Relations: Native Struggles for Land and Life”, “Last Standing Woman” and “Recovering the Sacred: the Power of Naming and Claiming”.